Lara de Moor was born in 1969 in the Hague, the Netherlands. She currently lives and works in Haarlem, a dutch coastal town. 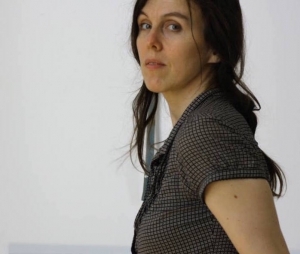 She graduated from the Gerrit Rietveld Akademie in Amsterdam in 1993 and in the subsequent two years she was artist in residence at the Rijksakademie van Beeldende Kunsten. Lara de Moor has been awarded several grants from the Dutch Mondriaan fund between 1996 and 2015. She has exhibited widely in her native country and internationally in London, Barcelona, Turin and several German cities. Her work can be found in numerous private and public art collections. She is represented in the Netherlands by RonLangArt, Amsterdam.